Is It To Late For A Play Off Push ? We Won One !!!! Yes at last it has finally happened again, a Three point haul and well deserved it was too. OK it wasn't a classic by any means and it wasn't a game that will live long in the memory but it was a win !! Most of the talk concerning this game was if it was actually going to take place at all, what a fiasco that was and Paul Lambert is right when he says it was a disgrace in this day and age for a game to only be cleared to take place some Fourteen hours before kick off. It was a game that saw Town in the ascendancy for lengthy spells, particularly in the last Twenty Five minutes of the first half which is where we really put our stamp on proceedings to get the points sewn up, the win makes it just Two defeats in the last Nine games which sounds good but the draws have been like defeats and as such has hampered our efforts in closing the gap, especially as those around us have picked up vital wins at key times. We all know our fate is sealed but at least we keep it alive for another game or Two and in doing so give ourselves the slimmest chance of avoiding bottom spot, at least that would be something I guess. Six games to go and those Eighteen would probably keep us up, impossible I know but we can but dream. Two great bits of news in midweek cheered many Town fans up no end, first off securing the signing of Alan Judge on a Two year deal is a real coup, he has got better and better each game and he really will rip up league One for sure, two pieces of sublime skill yesterday showed me what we are getting, the way he controlled a ball as it fell out of the air right by the touchline was like it was attached to his foot by a piece of string, as good a first touch as you will see in any any game anywhere in world Football, he then repeated the feat a few minutes later, yes indeed a great signing and already a sign of intent that we mean business, for those who think we will not be able to compete even with league One sides where spending is concerned please explain that one to me. The second piece of great news is that Paul Lambert has confirmed he will be remaining here for as long as he is wanted at the club, now call me dramatic but I think if Evans was to get rid it would cause an uprising at Portman Road like we have never seen before, Lambert is become something of a messiah with many and given his poor record it says something about the impact he has made, for me him remaining here is massive, it will be his own team with his own pre season behind it and I for one am excited and to be truthful expectant. All in all it's been the best week for a few months now !! The Tractor Boy's bandwagon rolls onto Brentford this Wednesday evening, yes it is One of my favourite away days, standing terrace behind the goal, always a large Town following, a super Pub, in fact One on every corner but it's the Griffin every time for me, normally the BBQ is churning out lovely Burgers etc but what with this being an evening game for the first time that may have to be shelved this time around and a relatively short journey for once !! Thanks to our win at Bolton this will not be the game that sends us down should we get beaten so the tears will be on hold should we fail to get a result. Brentford are a good footballing side who will no doubt dominate possession as they mostly do but we have tasted success at this venue in the past, no doubt Alan Judge will enjoy returning to his old stomping ground and with the team now playing free of pressure you just never know. Founded on 10 October 1889, at the Oxford and Cambridge Hotel in Brentford where a meeting was held, between the members of the Brentford Rowing Club, to decide between association football or rugby union, to serve as a winter pursuit for the rowing club and its members. As a result of a vote, by 8 votes to 5, taken 6 days later, association football was successful as the sport to partake in. The football club started out playing its home matches at the Clifden House Ground in Brentford, from November 1889 to March 1892. In October 1892, Benn's Field in Little Ealing, was the club's new home. The football club decided to move nearer to Brentford and in December 1894 they moved to Shotter's and stayed there until April 1898. Due to high rent increases, the club were once again forced to move on, so in September 1898 the club moved to the Cross Roads Ground, in Little Ealing and this was used until April 1900. As the club grew, Boston Park Cricket Ground, in York Road, Brentford was then used from September 1900 to April 1904. Finally, in January 1904, the club agreed a 21-year lease on an orchard. The clearance of the orchard, over 200 trees, and the levelling of the land took several months. Griffin Park, as it became known was now ready for use as a football ground after banking was raised along three sides of the ground and an enclosure, moved from their previous ground, was erected. In 1920, it was a founder member of the Third Division South. During the late 1920s and 1930s, the club began to make real progress. In the 1929–30 season, the side won all 21 of its home matches in the Third Division South, but still missed out on promotion. They are the last of six teams in English football to amass a perfect home record, and the only one to do so over a season of 42 matches or more. After several more near-misses, promotion to the Second Division was finally achieved in 1932–33. Two years later, Brentford reached the First Division and finished 5th in its debut season which is still the club's highest ever league. The club was relegated in the first season after the War, and a downward spiral set in, which culminated in relegation to the Third Division in 1953–54 and the Fourth Division in 1961–62. In the process Brentford became the first team to play the other ninety-one clubs in league football. The survival of Brentford FC was threatened by a projected takeover by Queens Park Rangers in the late 1960s, a bid that was only narrowly averted with an emergency loan of £104,000. The club continued to yo-yo between the third and fourth divisions during the next three decades. The club won promotion in 1962–63, 1971–72 and 1977–78 but only on the final occasion was it able to consolidate its place in English football's third tier. After a 45-year absence, Brentford were promoted back to the Second Division (renamed the First Division with the advent of the Premier League in 1992) in the 1991–92 season as Third Division champions, though they were relegated again the following year. There followed several seasons of the club narrowly missing out on promotionvia the play-offs. The club were then relegated to the Third Division (by then the bottom division of the Football League) the following year. Brentford won promotion as champions again in 1998–99. Former BBC Director-General and Bees fan Greg Dyke was announced as chairman of Brentford on 20 January 2006 as part of the takeover by Bees United, the Brentford Supporters Trust. Brentford were relegated to Football League Two in April 2007. On 25 April 2009 Brentford sealed the League Two championship under Management of former player Andy Scott. Scott's excellent first calendar year in charge was recognised with an award, the BBC London 'Manager of the Year 2008'. Scott was also awarded the League Two Manager of the Month award for April/May 2009. At the end of the 2011/12 season, in which the Club finished 9th in League One missing out on the play-offs by 6 points, the club's supporters voted to sell the entire club's shareholding to supporter-investor Matthew Benham. The 2012–13 season saw Brentford go on an FA Cup run, taking holders Chelsea to a fourth round replay, and mount a promotion challenge, missing out on automatic promotion on the final day of the season before losing the playoff final to Yeovil Town. On the 25 June 2013, Cliff Crown was elected Chairman Of Brentford Football Club. 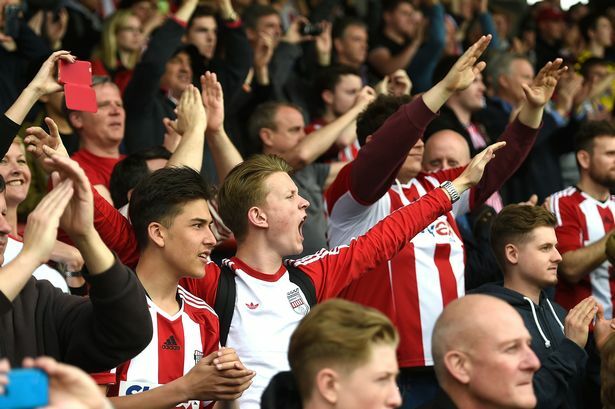 18 April 2014 Brentford were promoted to the Championship after they beat Preston 1–0 at Griffin Park in front of 10,774 people sparking a pitch invasion. This meant The Bees' return to second tier after a 21 year absence. In the 2014/15 season they impressed and finished in one place ahead of Town on the final table in 5th, before being knocked out in the playoff semi finals by Middlesbrough. They didn’t achieve the same heights of the 2014/15, finishing in 9th place on the table in 15/16 and 10th place in the 16/17season. Last season the Bee’s finished in 9th place with 69 points. Bottom of the league, 13 points from safety with 6 games to go and yet I’m far more looking forward to going to Griffin Park than I did last season. As Mr Greaves once said “it’s a funny old game”. Think Brentford will come out on top this time but one thing for sure is the atmosphere amongst Town fans won’t be anywhere near as toxic as when we played there towards the end of last season. I wrote in the preview that the win at Bolton meant we couldn't be relegated Wednesday but actually we can, if we lose and both Millwall and Reading win its game up. Voted on a tie, neither team got nothing to play for, guess it's an end of season exercise where anything goes. That four - two win over the Holidays three or four years back at their venue was dynamic, obviously score now is all but immaterial but a similar performance this time around would be mighty fine. Wigan would have to win as well. Reckon it's back to the regular 1-1 draw tonight. Have a good night all who are going to it. (Thinks) Sh!t. Picked up the wrong can. That's my deodorant spray. The fresh cream is still in the locker. If one more player comes up to me and says "EA SPORTS......, ITS IN THE GAME", I'm going to feckin lose it. 30 mins gone, Town 2-0 down and on the receiving end of a lesson in clinical finishing. I feel sorry for Flyn Downes having gifted the second goal but in reality this game is highly unlikely to be lost by the odd goal as Brentford look to be in complete control. Town looked promising in possession early on but created little in front of goal, Quaner had an excellent chance to put Town one up 50 secs before Brentford opened the scoring but his shot came back into play off the inside of the post. Since then we’ve done pretty much nothing and it’s now just a matter of time before we are confirmed relegated. Sums our season up really - hit the post then immediately concede at the other end, followed by an individual calamity! 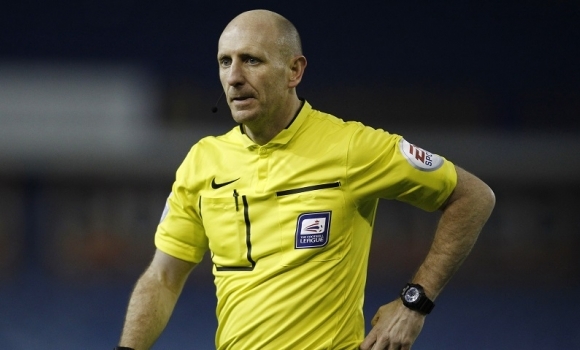 Did not just hit the post Todd it was a terrible miss. These fans are a credit to the club, what an atmosphere despite getting beat, best support anywhere considering. Can hear you all going full bore on the radio! This is without doubt the poorest Town team I can ever recall and as League One beckons, something will have to change if the strugqgle isn’t going to carry on into next season. All credit again to the Town fans for their outstanding support, I’m just amazed so many haven’t got anything better to do on a Tuesday night, there’s certainly not been much interest on here even with the match shown live on the telly. Lots of endeavour and energy but no class or quality especially at the attacking end of the pitch, first Town corner on 75 mins says it all and no shots on target! Judge's miss worse than Quanar's. Good opportunity just fell to Alan Judge who dragged his shot wide of goal, commentator just confirmed Town with zero shots on target at 80mins. This level of play would struggle at every level of English professional football. Despite our poor performance with clinical finishing we could have nicked a point tonight. A short stay of execution from our most certain relegation which will no doubt be confirmed over the coming weekend. It looked as if Brentford had at least 3 more players on the pitch than Ipswich. A really depressing performance with very few positives. Depressing, thats an understatement, it was F@!£in awful!! Every town player looked like a headless chicken. Whatever lambert had in mind was fooked from the start. Brentford players looked like brazil, going past or turning blue shirts inside out. Totally outplayed and outclassed. Gutted at that shower of sh*te tonight.